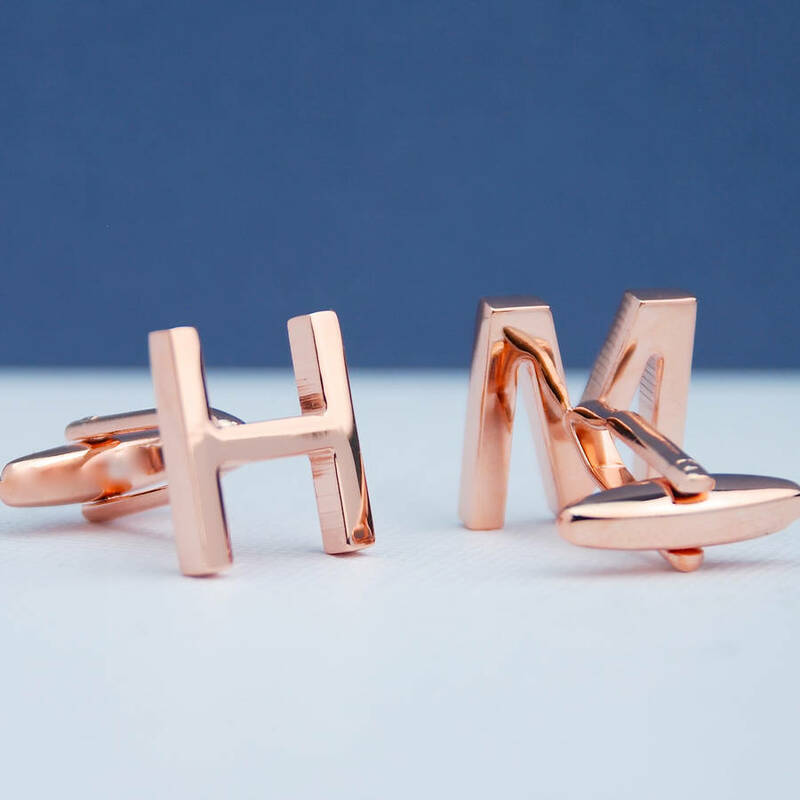 Exclusively designed, polished rose gold initial letter cufflinks: a unique and tasteful personalised gift. 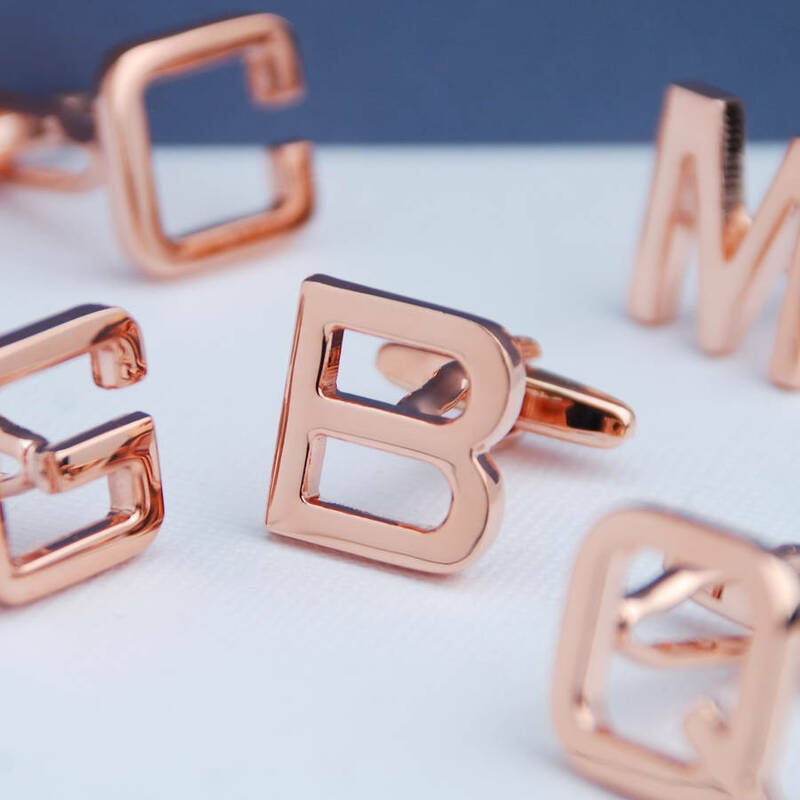 Sleek yet masculine, these rose gold alphabet cufflinks are designed with the fashion-conscious in mind. 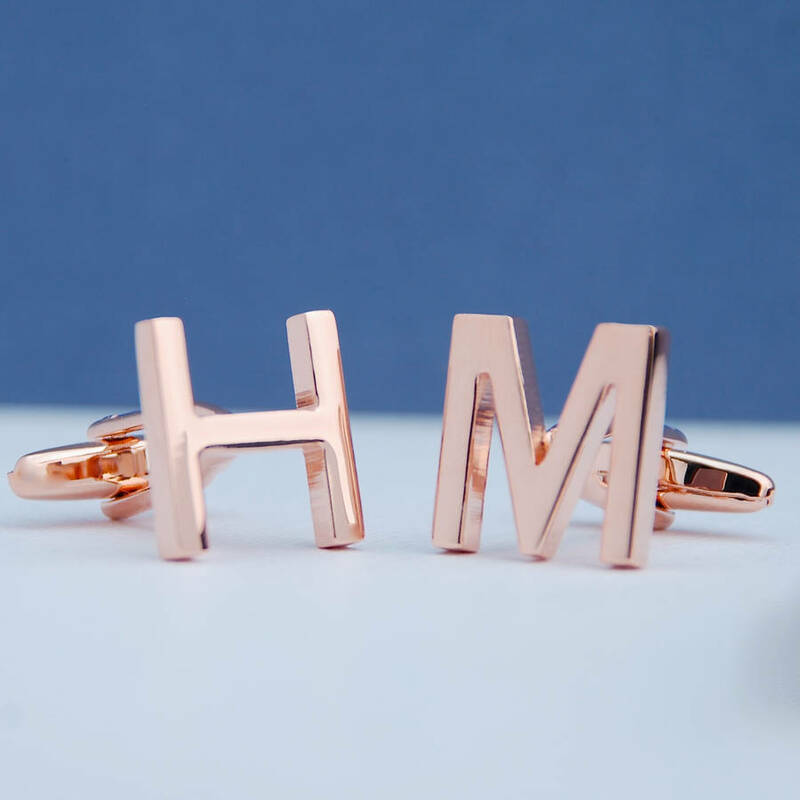 A very modern take on a highly popular means of personalisation, these initial cufflinks are at the forefront of contemporary styling, using on-trend rose gold alongside a unique and individual modern font. 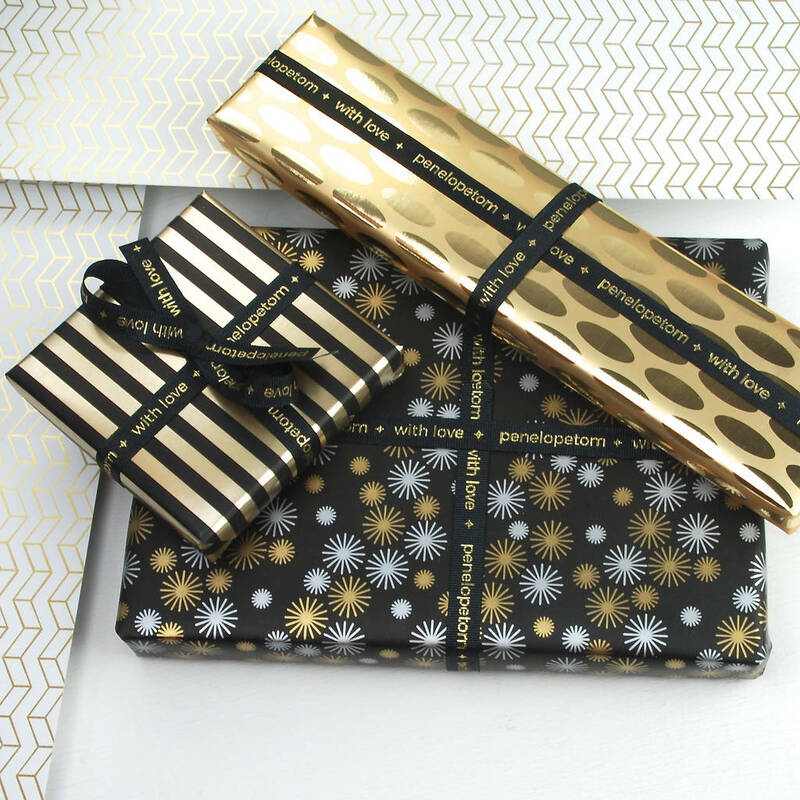 A brilliant way to add drama to a dark suit, and a fantastic gift for wedding parties or men with a great sense of style. 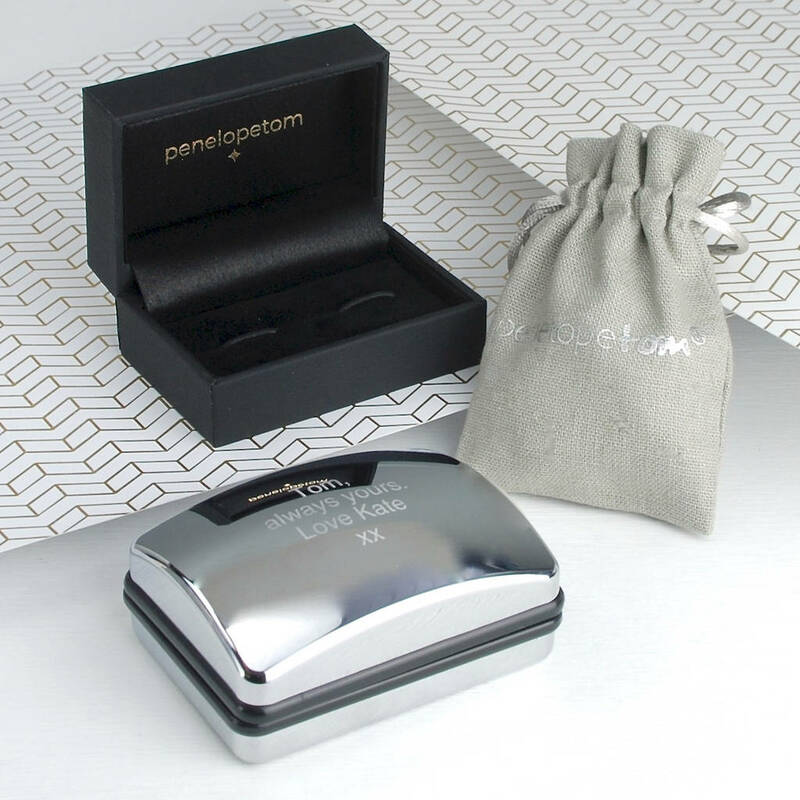 Every pair of cufflinks arrives beautifully presented, wrapped in crisp white Penelopetom tissue paper and placed in a contemporary linen travel pouch. 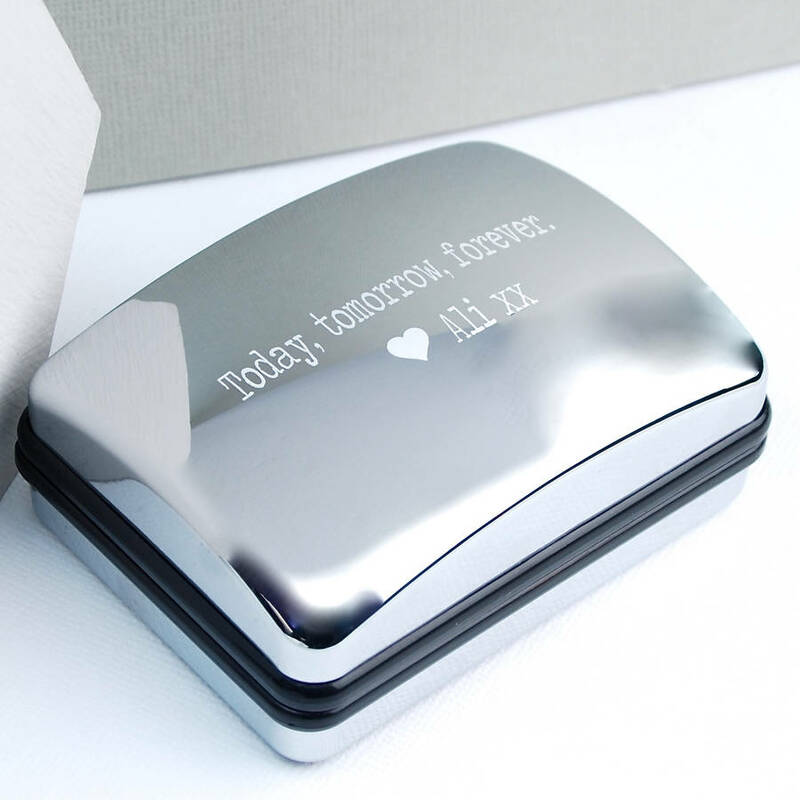 You also have the option to upgrade to a black leather cufflink gift box or a personalisable light weight chromed box. 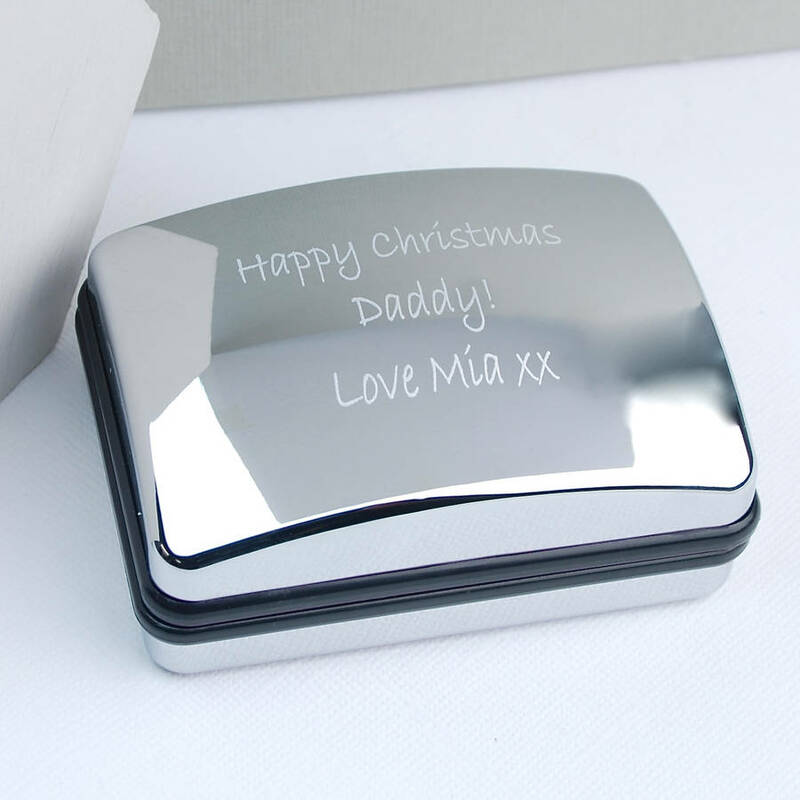 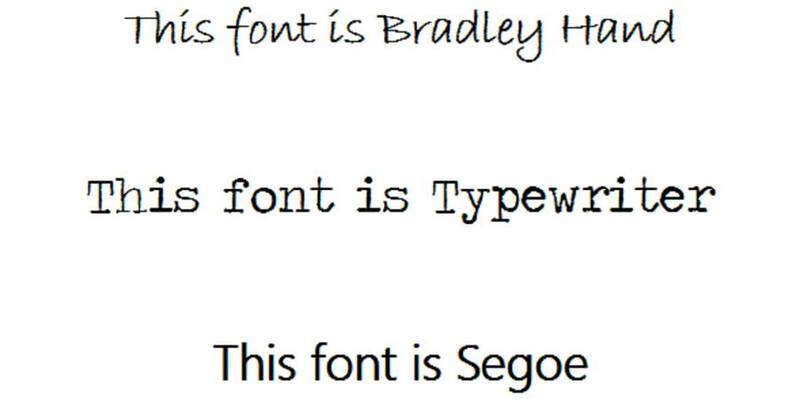 A fantastic and unusual Father’s Day gift, personalise with a special message unique to your special dad. 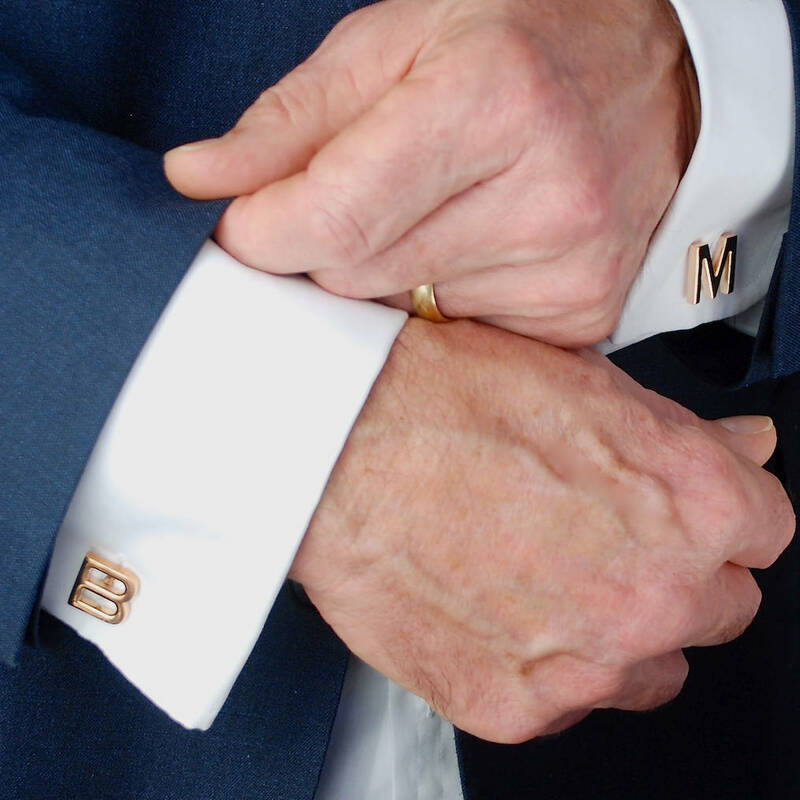 Gently polish with a soft cloth to keep your cufflinks looking their best.